It's all about the cupcakes. 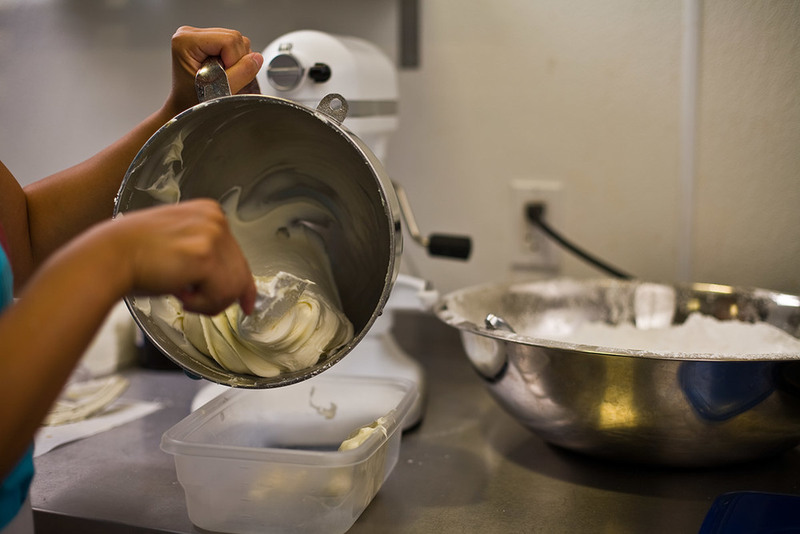 We bake and prepare our cupcakes everyday, throughout the day, using the highest quality ingredients and spreading our rich buttercream and cream cheese frosting by hand. We don't take shortcuts. 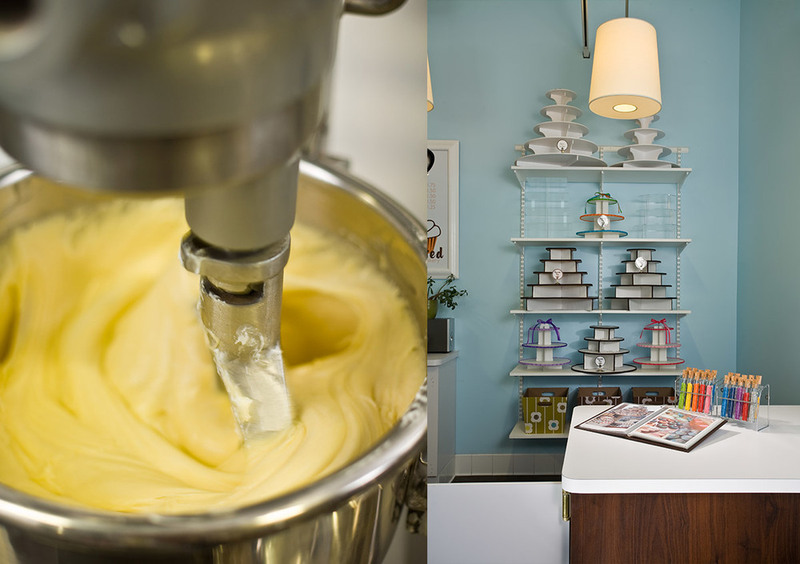 We want you to enjoy our cupcakes as if they were homemade, but without all the work. 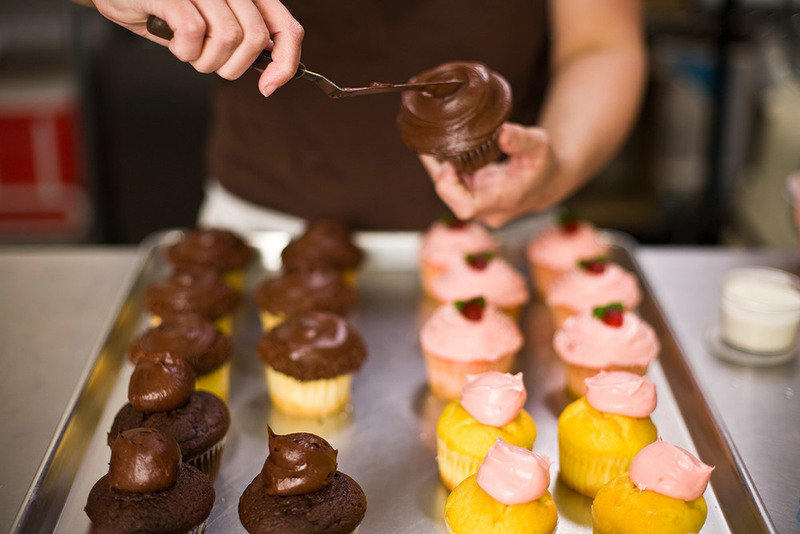 A cupcake is a single serving, so you can treat yourself or buy a dozen to take home. 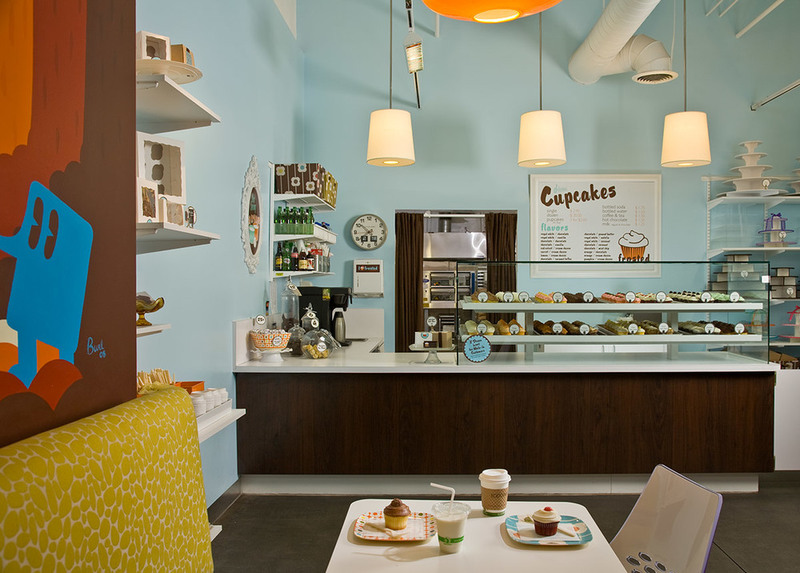 For a special treat, show us your driver's license on your birthday and get a cupcake for free! 5-8pm in Long Beach & Huntington Beach, Wednesday, May 1st! Come get a FREE mini of our Flavor of the Month, the first of every month! Available until we run out. Gluten Free Cupcake - Available daily! Vegan Cupcake - Available daily! Available for special order only, with 48 hours notice. A 2 dozen minimum order is required. Our Chocolate, Royal White & Red Velvet cakes can be topped with any of our current frosting flavors. Available for special order only, with 48 hours notice. Our Chocolate, Royal White & Red Velvet cakes can be topped with any of our current frosting flavors, packaged in an individual gift box. 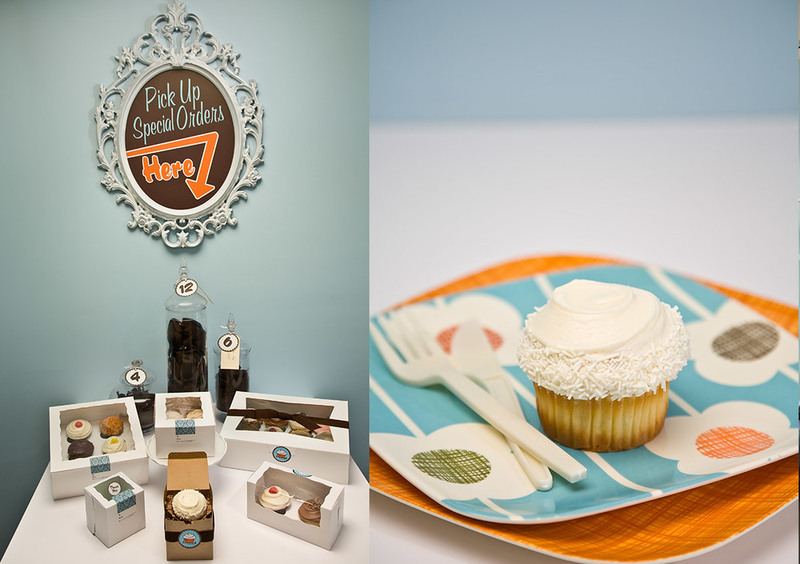 Tell us the theme of your event and we’ll find creative ways to make your cupcakes special. We offer anything from color tinting our vanilla buttercream and cream cheese frostings to topping them off with a chocolate from our chocolate mold collection (we have all kinds of shapes) and much more! there will be a $4.20 charge for every dozen chocolate molds; color tinting is free. Interested in a special message on your cupcakes? We created our signature picks, available for $7.20 for every dozen. Cupcakes are perfect for birthday parties, thank you gifts, baby showers, wedding receptions, bridal showers, school parties, office parties, holiday gifts, hostess gifts, business meetings and much more. Please give us 48 hours for special orders. Special orders are only taken by phone or in person at our Long Beach or Huntington Beach stores. Even a single cupcake can be a special gift! we will package it up in a pretty brown window box and seal it with our Frosted sticker (perfect for wedding or party favors too). Our window gift boxes are an additional $1 per box, available for 1 or 2 cupcakes. For boxes of 4, 6 or 12, let us know your box is a gift and we’ll wrap our complimentary gift band around it! P.S. It would be a lot of fun to find an engagement ring on top of a Frosted Cupcake! **Special orders secured with a credit card will be charged if the order is not picked up on scheduled order date. All custom orders must be reserved with a credit card. Cancellation of orders must be made 48 hrs. in advance to avoid charges. $18.00 – $75.00 trimmed with your color choice with 48 hour notice. We also have rental tiers in a variety of sizes, with a $25 rental fee and refundable deposit, ranging from $60-80. Almond cake, with vanilla buttercream frosting, covered in toasted coconut with 3 chocolate eggs. 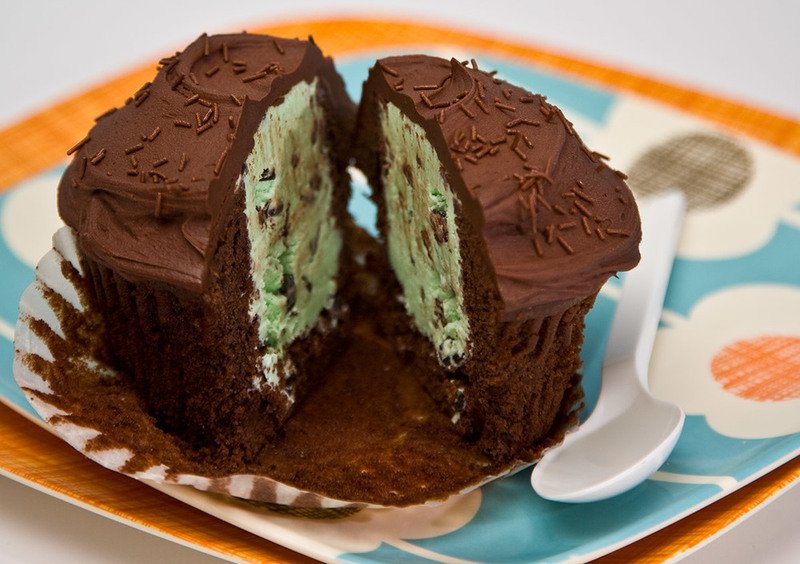 It's our spring nest cupcake! Have a question about cupcakes? You came to the right place. Thank you for the email. 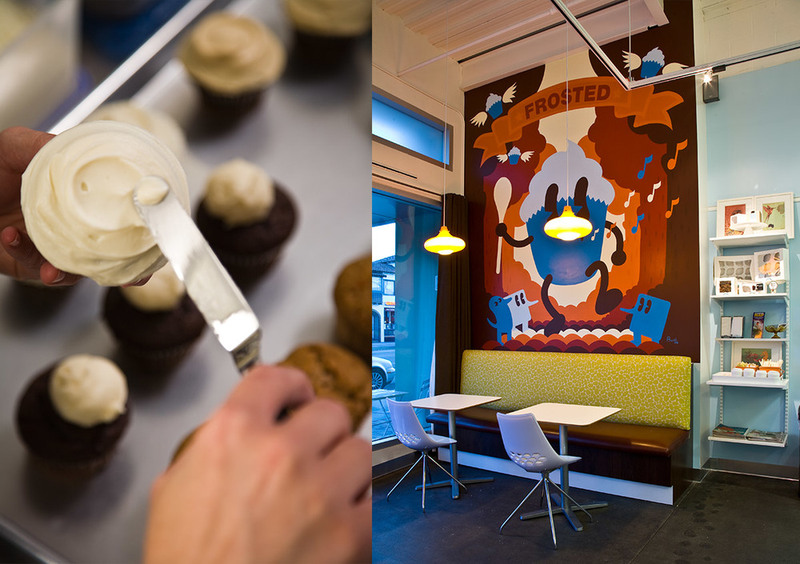 At Frosted Cupcakery, we try to answer all of our emails in a timely manner. Since we are in the kitchen baking all throughout the day, we ask for a 48-72 hour timeframe to respond. For any special orders or urgent matters, please call our store directly: (562) 987-1080.